Mr. Murgan Thevar, aged 44 years is the executive director of our company. He holds a degree in bachelor of commerce from Tamil Nadu. He is the founder promoter of our Company and has been the guiding force for us. He is the main person behind the establishment and growth of the Sudar Garments Ltd and its growth & development. He has over 15 years of experience in the textile industry. He is also the Executive Chairman of our listed promoter company, Sudar Garments Pvt Ltd. He laid the foundation of the Sudar Group in 1995 with the establishment of M/s Sudar Garments Pvt Ltd. 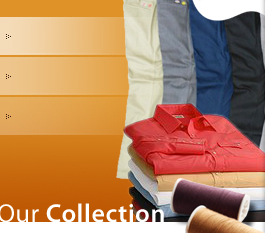 He has been recognized as one of the finest professionals in the Apparel Industry. He is the man behind the wheel as far as creating, designing and developing new fabrics goes.. He is responsible for conceiving new and modern innovations in processing fabrics for use in the manufacture of garments for export. Tasks of these nature call for extreme professionalism, efficiency and alacrity in decision making. And the high levels of productivity and profitable results speak for his ability to deliver. It is with such prowess, that Sudar assures customers that if they can think it, Sudar can stitch it.